Happy Friday everyone!! Sharing a super fun dessert for when you want to bring a little nature inside. I love terrariums and all the fun ideas around for them. BUT I definitely do not have a green thumb. Most plants die a terrible slow death when I try to keep them alive. I've tried doing real terrariums many times and it just does not work for me. 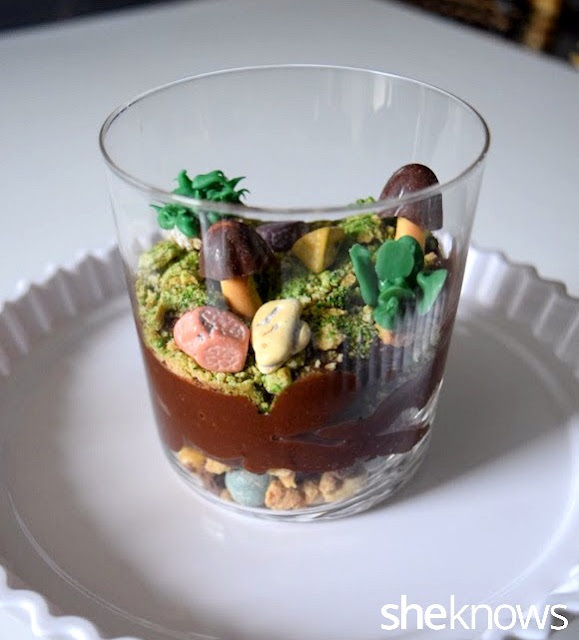 So, instead I made some edible terrariums! 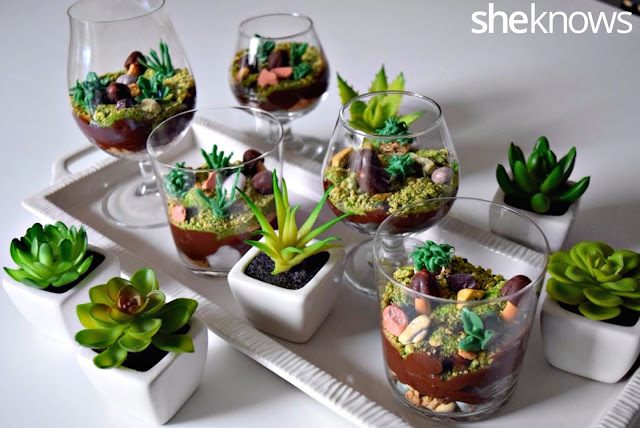 Complete with succulents, rocks, mushrooms, dirt, and moss. I love the way they came out and I don't have the guilt about killing the plants! See the easy how to here at sheknows! We are getting ready for the first big snow storm of the season. The latest is calling for 8-12 inches of snow! Can't wait since there is just something about the quiet of newly fallen snow that I love.